The latest film from acclaimed filmmaker David Sutherland (Kind-Hearted Woman, Country Boys, The Farmer’s Wife), Marcos Doesn’t Live Here Anymore examines the US immigration system through the lives of two unforgettable protagonists whose lives reveal the human cost of deportation. Elizabeth Perez, a decorated US Marine veteran living in Cleveland, fights to reunite her family after her undocumented husband, Marcos, is deported. 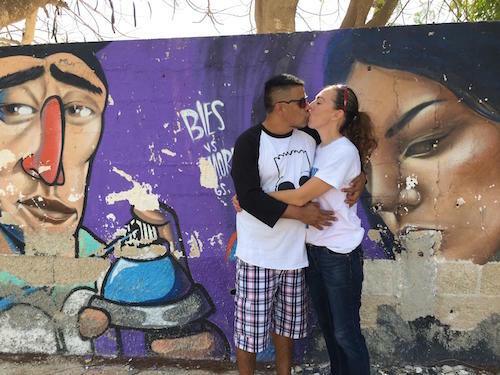 Meanwhile, Marcos is alone in Mexico, working as a soccer referee, struggling with depression and fighting the urge to cross the border illegally to see his family. With his signature raw, unfiltered intimacy, Sutherland weaves a parallel love story that takes us into a world often lived in the shadows. 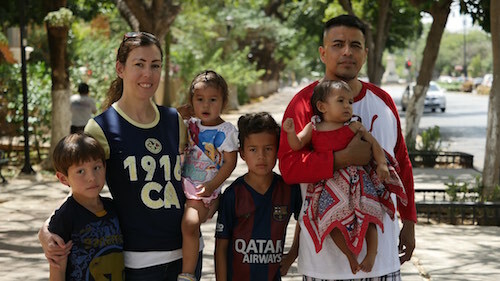 When Elizabeth’s efforts hit a legal brick wall, she must plan for the unthinkable alternative: leaving the US with her children to live in exile in Mexico. A special presentation of Independent Lens, FRONTLINE and VOCES, Marcos Doesn’t Live Here Anymore premieres on Monday, April 15, 2019, 9:00-11:00 PM on WOUB, and will also be available simultaneously for online streaming at pbs.org. Visit the Marcos Doesn’t Live Here Anymore page on Independent Lens, which features more information about the film. David Sutherland (Producer/Writer/Director) describes his filmmaking technique as “cinematic portraiture,” which requires a great deal of intimacy between filmmaker and subject and combines technical virtuosity with an intense human connection to the film’s subjects. His most recent film was 2013’s Kind Hearted Woman, which delved into the troubled life of a young Native American mother. His previous film, Country Boys, took seven years to bring to fruition as Sutherland returned again and again to the hills of Appalachian Kentucky to crystallize the coming-of-age ordeal faced by his two teenage subjects. The film aired in January 2006 to great critical acclaim, and became one of the most widely viewed programs on PBS that year. Country Boys was Sutherland’s second collaboration with FRONTLINE, the first being 1998’s The Farmer’s Wife, a three-part, 6.5-hour film cataloguing the trials of a poor Nebraskan farm family. The Chicago Tribune hailed it as “one of the extraordinary television events of the decade” and the Television Critics Association nominated The Farmer’s Wife for awards in three categories: Best Program of the Year, Best Miniseries & Specials, and Best News & Information Program. Sutherland’s early films include George Washington: The Man Who Wouldn’t Be King, produced for American Experience; Out of Sight; Jack Levine: Feast of Pure Reason; Paul Cadmus: Enfant Terrible at 80; Feast of the Gods; and Halftime: Five Yale Men at Midlife, which chronicled the experience of five members of the class of 1963. 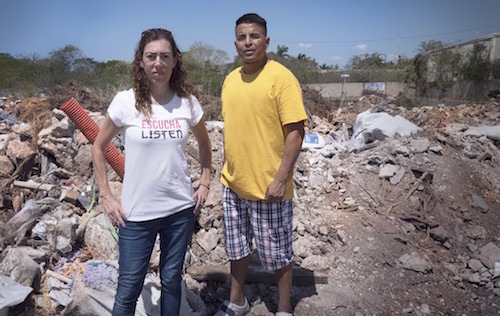 Marcos Doesn’t Live Here Anymore is a David Sutherland Production for WGBH/FRONTLINE, the Independent Television Service (ITVS), and Latino Public Broadcasting (LPB). Major Funding for FRONTLINE, the Independent Television Service (ITVS) and Latino Public Broadcasting (LPB) provided by the Corporation for Public Broadcasting. Produced in Association with Ford Foundation/Just Films. FRONTLINE, U.S. television’s longest running investigative documentary series, explores the issues of our times through powerful storytelling. FRONTLINE has won every major journalism and broadcasting award, including 89 Emmy Awards and 20 Peabody Awards. Visit pbs.org/frontline and follow us on Twitter, Facebook, Instagram, YouTube and Tumblr to learn more. FRONTLINE is produced by WGBH Boston and is broadcast nationwide on PBS. Funding for FRONTLINE is provided through the support of PBS viewers and by the Corporation for Public Broadcasting. Major funding for FRONTLINE is provided by The John D. and Catherine T. MacArthur Foundation. Additional funding is provided by the Ford Foundation, the Park Foundation, the John and Helen Glessner Family Trust and the FRONTLINE Journalism Fund with major support from Jon and Jo Ann Hagler on behalf of the Jon L. Hagler Foundation. Produced by Latino Public Broadcasting, VOCES is the signature Latino arts and culture documentary showcase on PBS and the only ongoing national television series devoted to exploring and celebrating the rich diversity of the Latino cultural experience. The series is supported in part by the National Endowment for the Arts and Acton Family Giving. Follow us on Facebook at https://www.facebook.com/VocesOnPBS/ and Twitter at https://twitter.com/VocesMedia.